These biking gloves come with a pocket in the lower cuff so that you can fit a re-usable Held heat pad into that pocket, and you will stay warmer and your hands stay nimble. 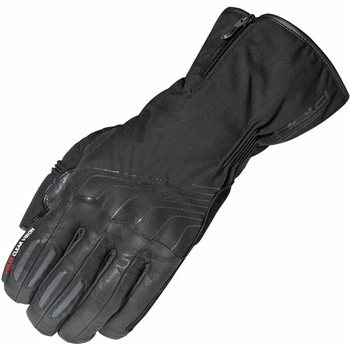 An excellent winter motorcycle glove that are a softer construction than the Held Arctic and cold Champ to give you a more comfier feel while still having a Gore-Tex membrane. These biking gloves come with a pocket in the lower cuff. Fit a re-usable Held heat pad into that pocket, and you will stay warmer and your hands stay nimble. Why? On the underside of your wrist your blood-flow is closest to the skin and that is where you cool down the fastest, or where external heat can maintain a comfortable temperature the most easily. GORE-TEX® is the ultimate material for changeable weather conditions.